This tour covers northern Lombok. You will experience the beautiful nature, culture and see how the people have lived in this region for centuries. Start your day from your hotel ( Mataram, Senggigi, Kuta, Tetebatu, Sembalun or other hotel location within Lombok Island) by going along the coastline to visit Malimbu Look-out and continue on to Tanjung Traditional Market, a colourful local market with local fruits and food. 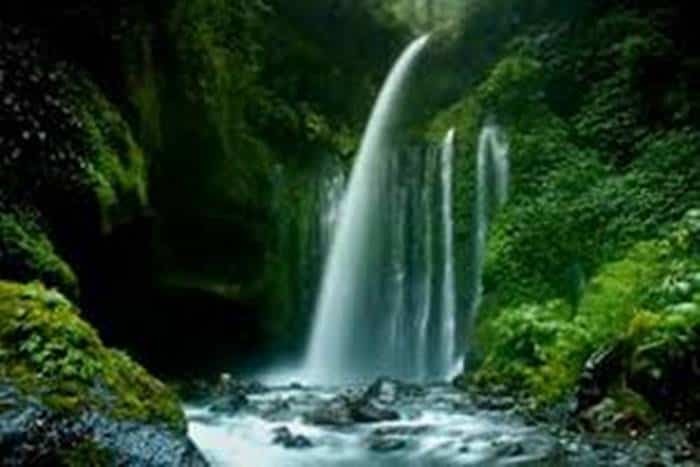 Our next stop will be Sendang Gile Waterfall, 600 m above sea level, on the foot of Rinjani Mountain. The cool and quiet hill will provide a comfortable resting point. The biggest waterfall in Lombok lies 300 meters below. The waterfall irrigates the land with it’s crystal clear water coming from nature. Visit Senaru Traditional Village, where mountain tribal life and the civilization of past centuries still exists as a part of the nature. Finally, visit Bayan Old Mosque, one of the inestimable historical Islamic heritage sites in Lombok which is believed to have been built upon the Islamic people’s arrival in the 16th century.